Earle Remington had made a name for himself locally, and nationally, as an aviator and businessman. On the surface it appeared that he wasn’t the sort of man to get himself murdered. He was more likely to be injured tripping over a Persian rug at one of the exclusive clubs he frequented. But once police investigators began to scratch the surface they found that Earle was leading a double life — one that may have marked him for murder. 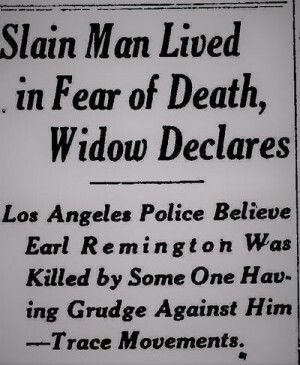 Peggy Remington had spoken with attorney Jerry Geisler about two weeks before Earle’s death. She wanted the attorney to represent her in a divorce. Peggy allegedly told Geisler that not only was Earle having an affair, he was selling bootleg booze. A jealous husband or an angry illicit business partner may well have cause to kill. The widow had a couple of compelling motives to murder Earle. His infidelity was one. Another, and perhaps even stronger motive, was life insurance. Earle had a policy in the amount of $27,500 (equivalent to $300k in current dollars). Ten thousand dollars were to go to his sister, and the remainder would go to Peggy. Peggy wouldn’t need to kill Earle herself, she could have hired someone to do it for her. Where would a well-to-do society matron find an assassin? Her friends and acquaintances weren’t, like some of Earle’s, to be found on the shady side of the law. Ironically, it was Peggy’s good works that would have put her in touch with a possible gene pool of killers. She worked with veterans of WWI, some of whom were not only physically but psychologically damaged. Peggy knew dozens of men who knew how to use a weapon, but would any one of them be unstable enough to go through with a murder-for-hire? The suggestion that the stab wound in Earle’s chest had been made not by a dagger but by a bayonet or a trench knife lent credibility to the theory that a vet, either on his own or enlisted by Peggy, had done the deed. Peggy wanted out of the marriage – but how far was she willing to go? Two veteran LAPD officers, Captain George Home and Detective Sergeant Herman Cline, headed the murder investigation. 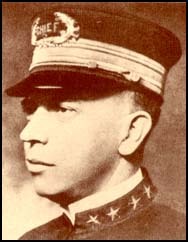 Captain Home had nearly 20 years on the job, and he briefly served as Chief of Police in 1919 and 1920. Detective Cline worked many high-profile cases – most notably he had been involved in the investigation into the mysterious slaying of film director William Desmond Taylor in 1922. Milster’s was not an uncommon theory. From the end of WWI until the beginning of WWII, many criminal acts were rightly, and wrongly, attributed to veterans. If vets behaved badly it may have been because they suffered from shell-shock, the original term for what, decades later, became known as Post-Traumatic-Stress-Disorder (PTSD). Milster was satisfied that his sister had nothing to do with Earle’s death — but detectives weren’t so sure. They were convinced that Peggy was withholding information. Despite evidence to the contrary, particularly from her own attorney, Peggy continued to deny knowing anything about Earle’s secret life of infidelity and bootleg booze. Earle kept a little red book containing the names, addresses and telephone numbers of many women. Detectives hoped that the book would lead them to Earle’s killer. All Peggy would say is that for at least two weeks prior to the murder Earle appeared to be in fear of his life. She told police that he never revealed to her the reasons for his unease. Less than a week into the investigation police discovered that Earle was the victim of extortion — a blackmail scheme run by a man and woman. The woman had allegedly seduced Earle then told him it would cost him big time for her to keep her mouth shut about their affair. In 1933 crime novelist and chronicler of Los Angeles noir, Raymond Chandler, published his first piece of crime fiction entitled “Blackmailers Don’t Shoot”. Chandler was on to something. Why would blackmailers kill the golden goose? They might kill him if he finally refused to pay. Evidently, Earle had been hemorrhaging money and when the blackmailers tried to tap him again, he told them they were out of luck. Were they made angry enough to kill? Police identified the couple, but they weren’t sharing that information with the press. What they said was that they had heard from informants that the night before the murder the blackmailers were at a party in a cabaret on the outskirts of Chinatown. Earle was there with another man and three women. The blackmailers hadn’t been seen since. Or had they? Neighbors of Earle’s saw a couple necking in a coupe near the murder scene. They also witnessed another coupe, driven by a woman, drive up to the Remington home followed moments later by a touring car in which there were two men. Both automobiles circled the block several times before disappearing. And nobody seemed to know where the amorous couple had gone. Were Earle’s killers doing reconnaissance before they struck? As if the case wasn’t complicated enough Aimee Torriani, an actress and acquaintance of the Remingtons, came forward. Aimee told detectives that two weeks before his death she had bumped into Earle at a downtown club. Aimee said that Earle had confided in her that his marriage to Peggy was in serious trouble. Earle had seemed nervous. 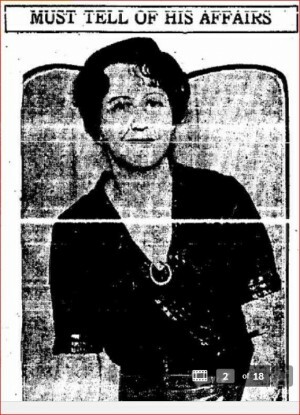 Aimee told police that she had special insight into the Remington’s marriage because not only had she known Earle since she was ten years old, she was a psychic. NEXT TIME: Will psychic revelations help the cops solve Earle’s murder? And is the murder of Oakland society bootlegger, Edward Shouse, connected to Earle’s death?